Under contract - Open House canceled. 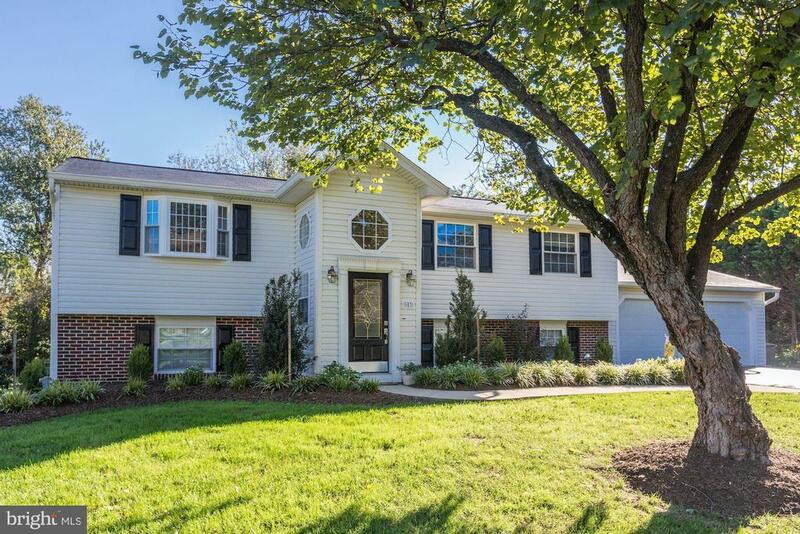 Beautiful, meticulously-maintained split foyer at the end of a quiet cul-de-sac set on half an acre in the sought-after Lexington Estates neighborhood. Relax or entertain on your two-level deck accessible from your light-soaked sunroom addition, updated kitchen, or master bedroom -- all of which overlook the private pool and lovely backyard. The homes main level boasts hardwoods, three bedrooms and two of the homes three fully renovated baths. The spacious lower level includes new carpeting, a large, comfortable recreation area with built-ins and featuring a wood-burning stove, two bonus rooms ideal for an additional bedroom and/or home office, a full bath and separate laundry area/mudroom accessible directly from the two-car garage. Located within the highly-rated Langley High School pyramid. Secluded, yet only minutes from Great Falls Village. This home is picture perfect with a new roof and too many other improvements to list! Directions: Once on Cantle Lane, go to cul-de-sac where it ends at a private driveway, house is on the right immediately past the cul-de-sac.